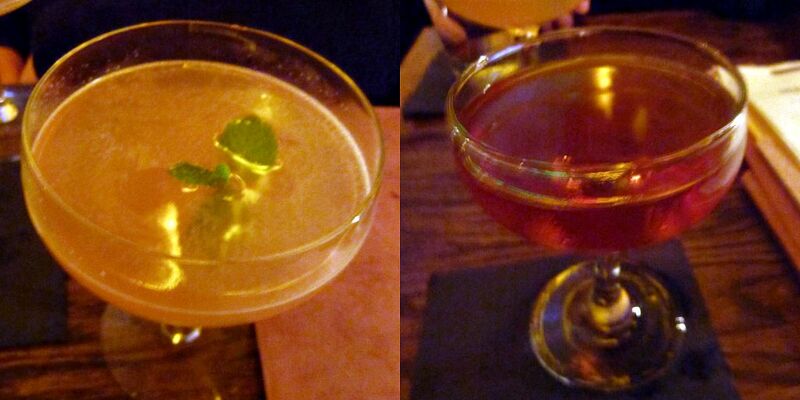 Wilson and Wilson is a clandestine bar within Bourbon and Branch. The theme is a detective agency speakeasy. 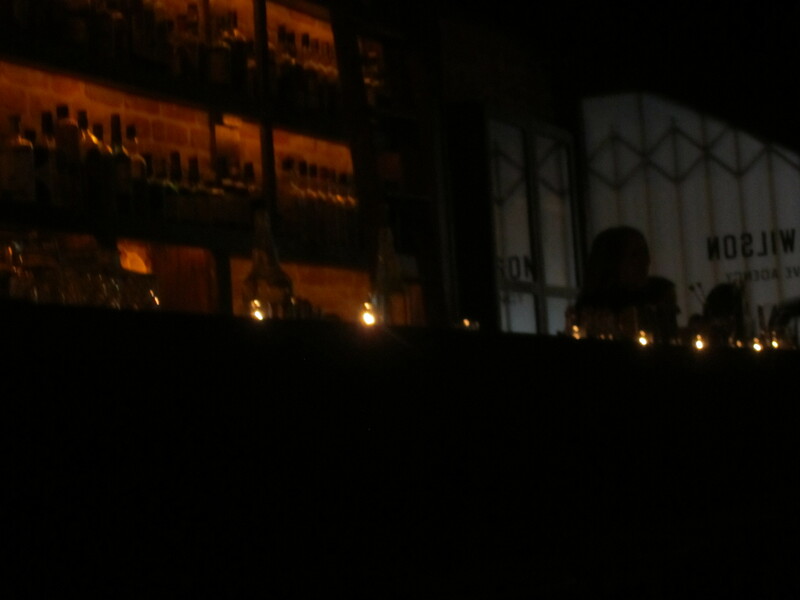 We loved the vibe, the darkness and laid back, yet swank atmosphere. 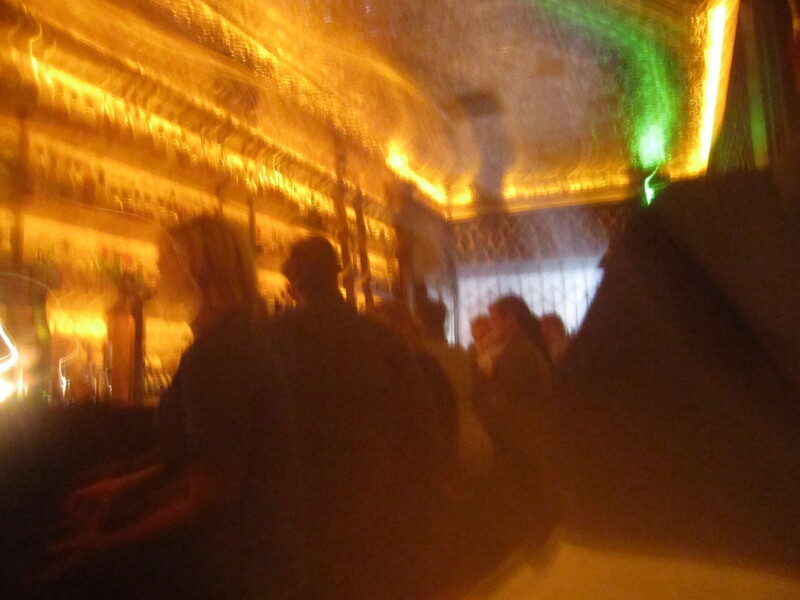 Our first time visiting Bourbon and Branch was a complete mess, despite having a reservation, we were shuffled into this side room from the main Library and bar area, stating we should wait there until our table was ready, however the hostesses never came to retrieve us. Despite us asking to chat with the hostess, they kept us in the holding tank. Perhaps it was because we were in a large group, in mass, but we were hesitant to return. 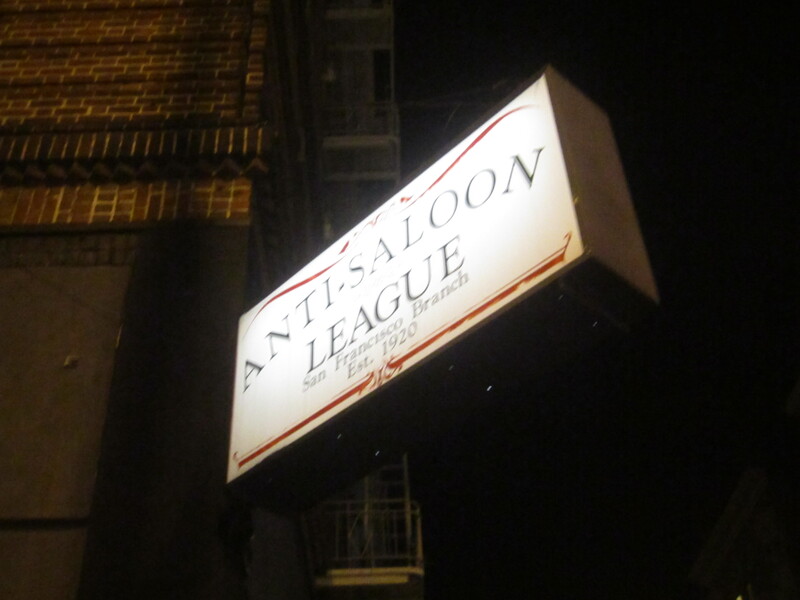 We are thrilled we returned to the Anti-Saloon League. 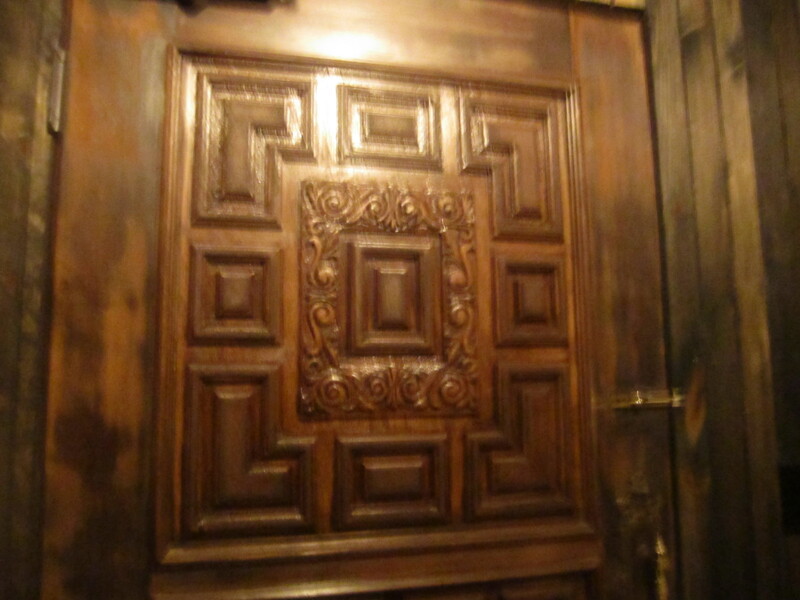 To get to the Wilson and Wilson area of the bar, one enters in the main entrance of Bourbon and Branch. Wilson and Wilson is perfect for a date or a smaller party. Reservations can be made online in advance. Provide the password and slip into the back of the bar area for a few well crafted cocktails and a fun gumshoe and adult Where in the World is Carmen San Diego like vibe. Upon seating, we received the menu “case file”, read the pages and both decided to chose a prix-fixe drink tasting of three drinks for $30 each. 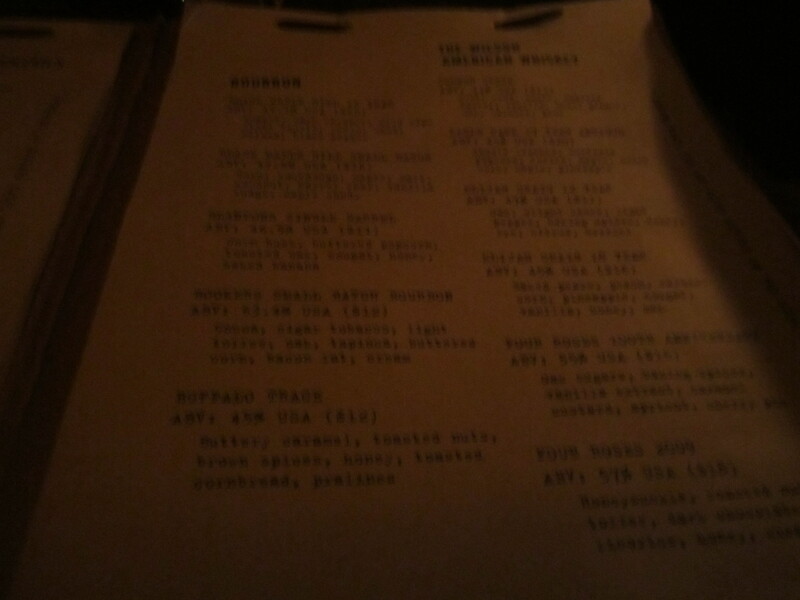 The selection of whiskeys and bourbons are impeccable. A la carte, the drinks would be $12 each, and we greatly enjoyed the The Truth Serum a concoction of Highland Park 12-year-old scotch, bitters, sarsaparilla tincture and cinnamon. The drink was complex and smooth. The Charlie Chan contained black-tea-infused vodka, black pepper, coconut and ginger syrup. It was a memorable drink and a must get. 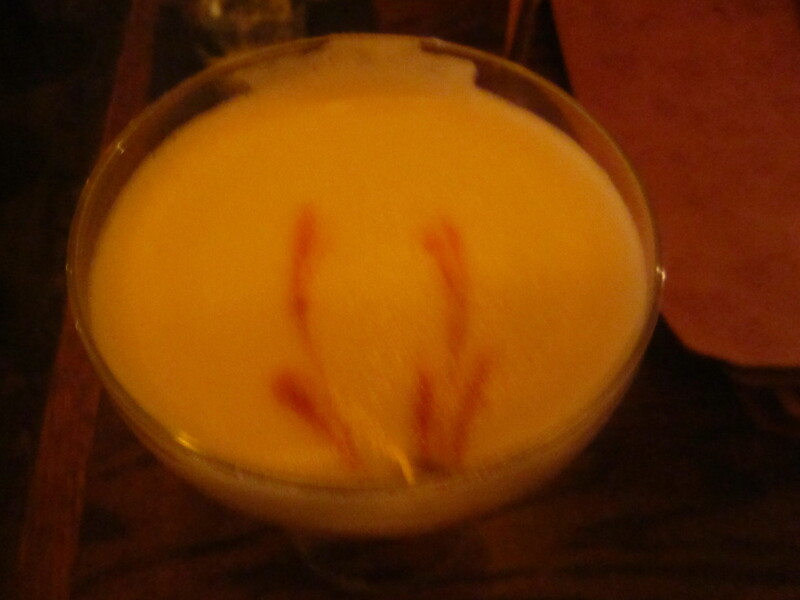 My favorite drink of all drinks was the Fu Manchu, a melange of gin, grapefruit juice, lemon juice, five spice spice syrup, Puerh tincture, egg white, angostura bitters and vanilla angostura. The whimsical mustache was a conversation spark and made us giggle through out the consumption. Without much sustenance in our bellies, a 2 hour table time limit and three drink flight, we were going through this door quite frequently. If only Wilson and Wilson served little apps or snacks, we would be happier campers. Nonetheless, a memorable and enjoyable evening all around.